U.S. Sen. Ted Cruz, R-Texas, has $4.2 million cash on hand as he prepares for a potentially competitive re-election race in 2018. Cruz raised roughly $782,000 for his next Senate bid during the fourth quarter of last year, according to a report released Thursday by the Federal Election Commission. He also raised $262,000 in December for his joint fundraising committee, which splits its contributions between his Senate campaign and a leadership PAC. Among the three groups, Cruz raised $1,095,631 during the last three months of 2016, according to his campaign. In a news release Thursday, the campaign touted a high volume of small-dollar donations, saying the average fourth-quarter contribution was $50. Cruz could face challengers in both the 2018 primary and general election. U.S. Rep. Michael McCaul, R-Austin, is considering taking on Cruz, as are Democratic U.S. Reps. Joaquin Castro of San Antonio and Beto O'Rourke of El Paso. O’Rourke has said he is “very likely” to run. As he replenishes his Senate coffers, Cruz has leaned considerably on his presidential campaign, which was relatively flush with cash when he dropped out in May. Since the summer, his presidential campaign has transferred over $3.6 million to his Senate campaign, including $790,000 in December. 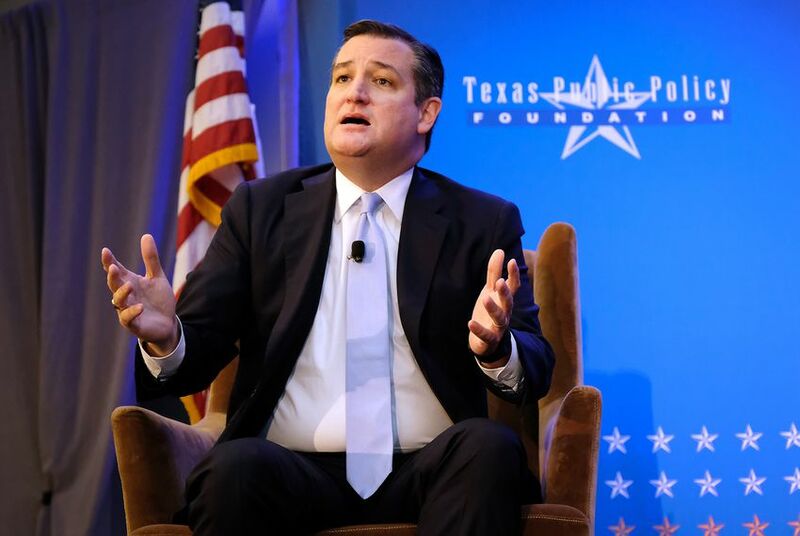 U.S. Sen. Ted Cruz urged state lawmakers last month to take on school choice this session, adding his voice to what is likely to be a tough battle for education reformers under the pink dome. Matthew Dowd, a longtime Texas operative in both Republican and Democratic politics, is considering launching an independent bid against Cruz in 2018.